A Genesis Juice Cooperative original recipe, first called Rainn's Herbal Tonic. It was created as an overall body tonic with all people of the Willamette Valley in mind, body, and soul. 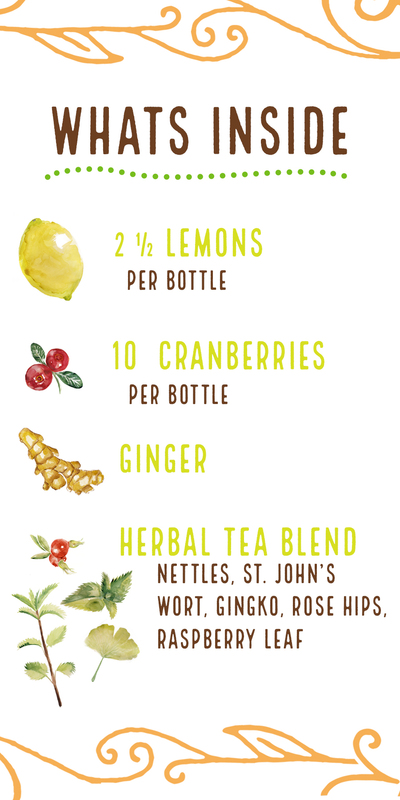 Organic herbal tea blend (St. John's Wort, Ginkgo, Rose Hips, Nettles, Raspberry Leaf, steeped in purified water), Organic Lemons, Organic Cranberries, Organic Agave Nectar, Organic Ginger. 26% juice. We work directly with Oregon cranberry farmers to source as locally as possible. That's why our Ginger Herbal Tonic is so soothing, plus the careful combination of all those herbs! 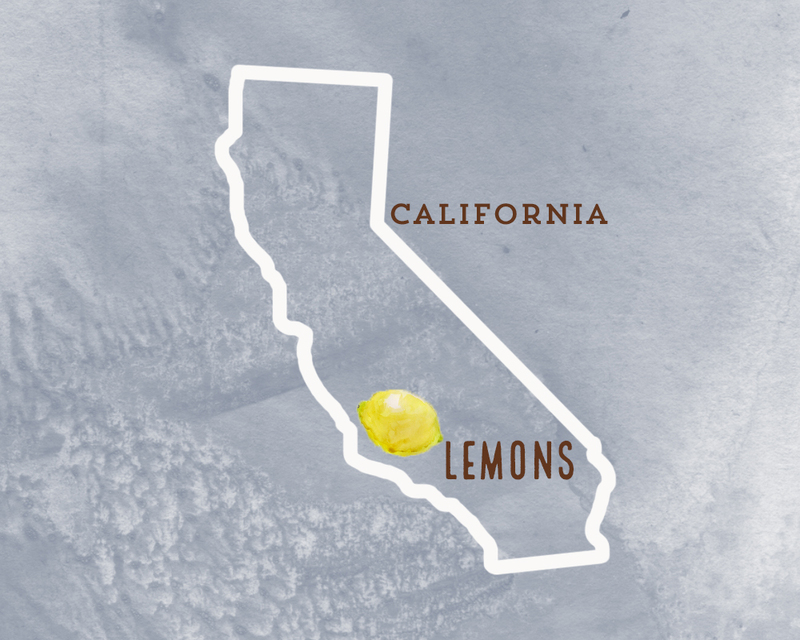 Our lemons come from Sespe Creek Organics, a family farming business located in Ventura County, California. The same farm grows our oranges for our orange juice! The herbs for our teas come from our friends at Mountain Rose Herbs, located just a few miles from us.